Ah, finally! 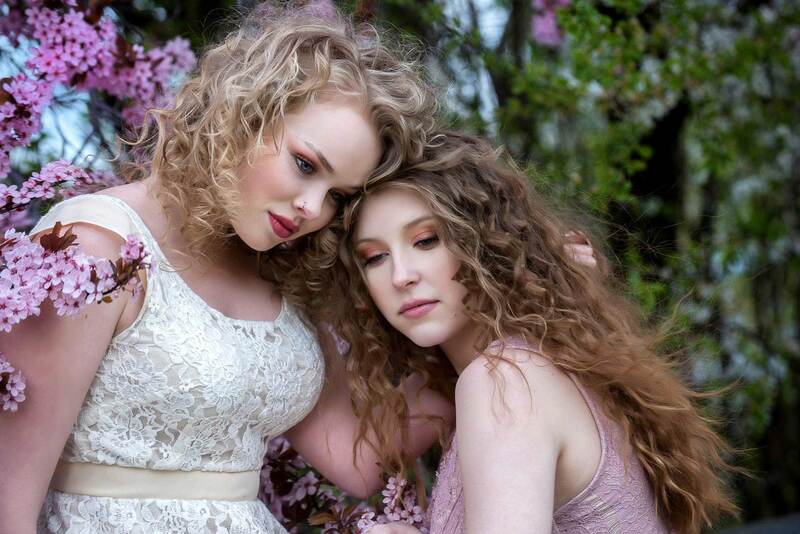 The second half of our Flower Model Shoot! (I’ll bet you thought we had completely forgotten.) 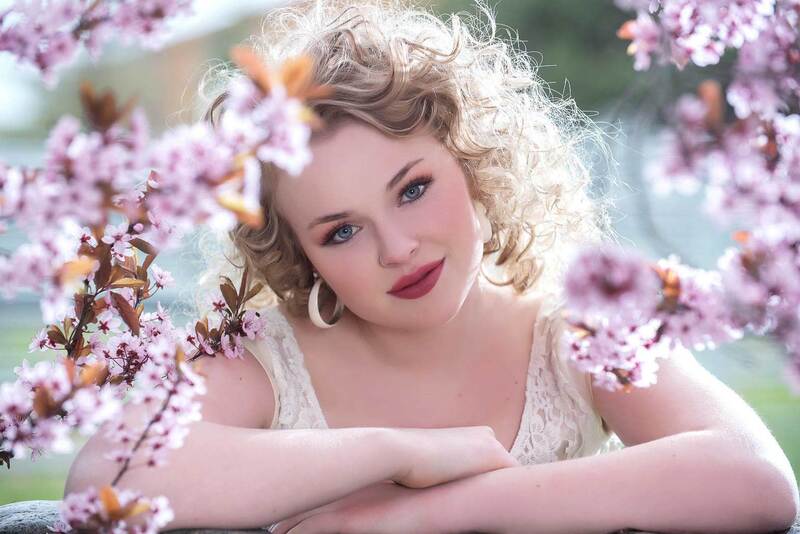 The first part of this model shoot was done in the studio, see first shoot here, but we wanted to continue with the theme by moving outside to take advantage of the lovely spring blossoms on the trees. 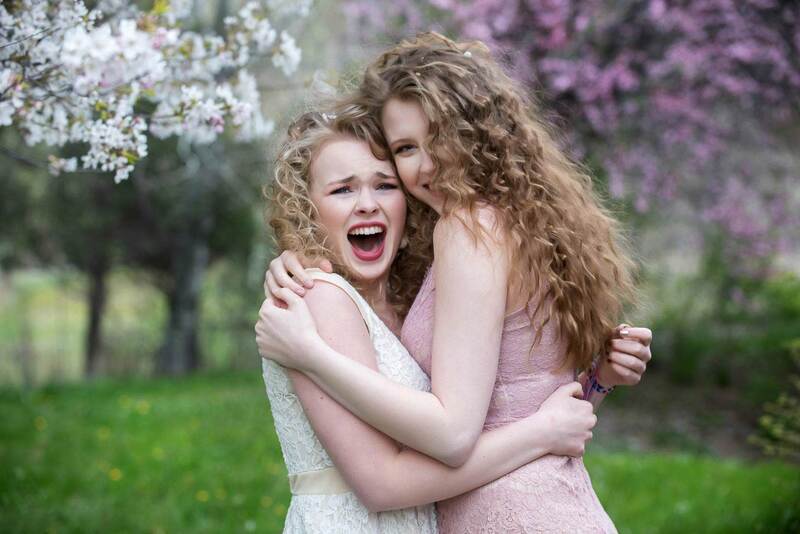 Liana and Ellie were so much fun to work with. Fortunately, they were not only beautiful, but very hardy as well! Although the pictures appear to be taken on a sunny spring day, the weather was really cold, that special breezy, Ellensburg kind of cold. The girls were definitely shivering between smiles! But they pulled it off perfectly. 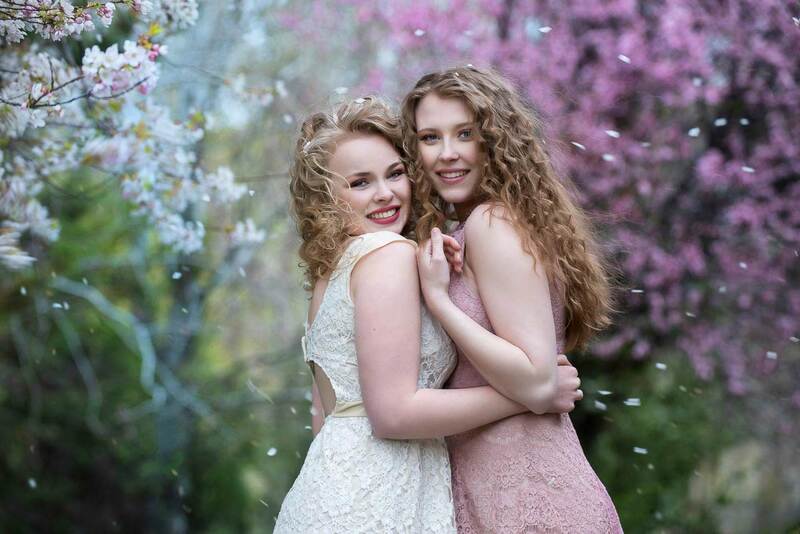 For this part of the model shoot, we chose cream and pink for their dresses, to compliment the blossoms. We loved the softness it created in the images. Kudos again to Delainey and Rylan from Head to Toe Salon! The hair and makeup was fabulous and looked perfect in both shoots, even though the wardrobe and settings were very different. And, thanks once again to Liana and Ellie. It was a great day!